Welcome to the opening of this, our second National Sustainable Funding Strategy Workshop, which is jointly organised with our long-standing development partner – the Center for Latin American Monetary Studies (CEMLA). Our sincere gratitude is extended to CEMLA for their unceasing support over the years. Let me take this opportunity to thank Mr. Jaime Coronado for his exemplary work, leadership and guidance under the Public Debt Management Capacity Building Programme (PDP) Strategic Country Plan for Guyana, which concludes this year. 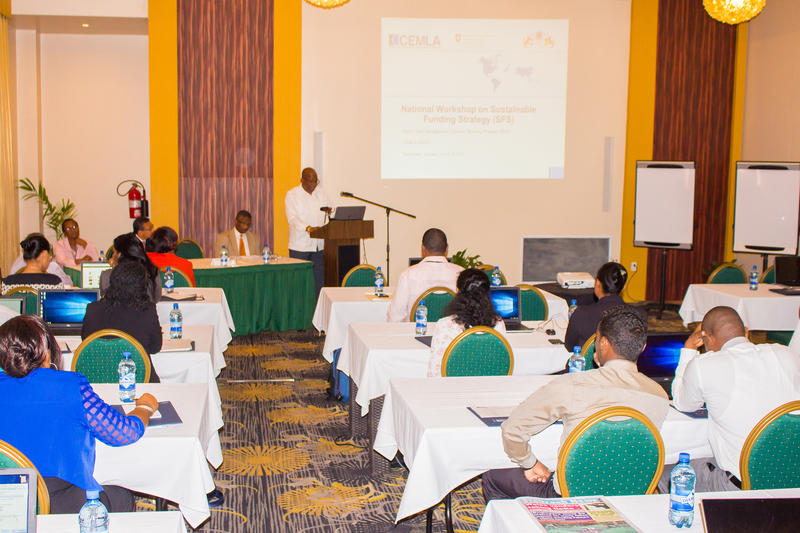 Under this Programme, Guyana has made notable progress in the area of debt management. 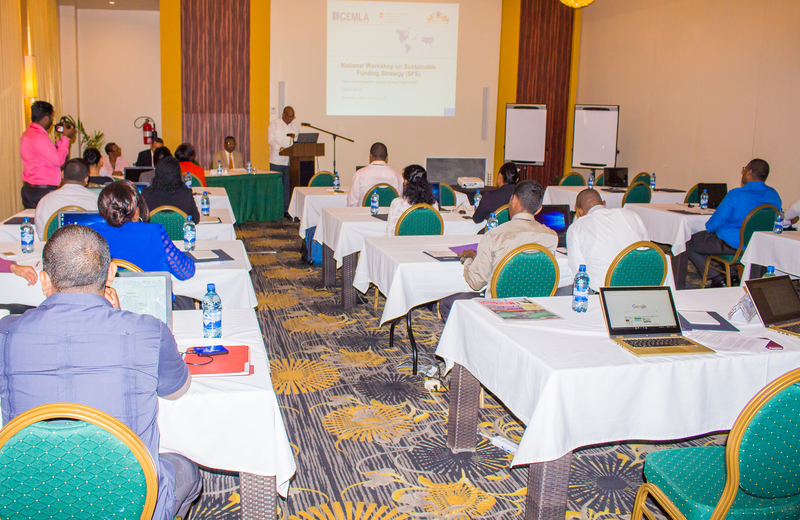 Among the notable achievements to date have been: 1) the formulation of a National Sustainable Funding Strategy in 2015, inclusive of a Debt Sustainability Analysis and Public Debt Strategy; 2) a comprehensive Public Debt Management Procedures Manual which has improved and ensured consistent debt management operations whilst reducing operational risk; and 3) the first National Workshop on Debt Management Self-Evaluation and Improvement (DMSAI) in 2016, using the World Bank Debt Management Performance Assessment (DeMPA) Methodology to assess our debt management operations, and chart a course for improvement and achievement of international best practices. These achievements are tangible indications of our Government’s redoubled efforts to ‘raise the bar’ in the management of public finances, including the public debt, in order to heighten transparency and accountability, value for money and efficient and effective allocation of our resources. Guyana is well acquainted with the harsh consequences of an onerous debt burden; the painful process of structural adjustment; and the acrid outcomes of weak and impudent management of the public purse by previous administrations. And, in spite of many unhelpful comments and misguided actions, since the presentation of the last budget, our Government remains firm in its stance to do all that is required to prevent the recurrence of such situations. Some of our policy measures may be bold in their intent, leading to unpopular reactions. However, while governments are often swept into power on a wave of popularity, they are similarly swept out ignominiously when they succumb to demands, especially by special interest groups, to implement policy measures that have short term gain for these groups, but long term pain for the mass of the population. History is a great teacher, for which we should learn its copious lessons. Madame Chairperson, our Government has managed to reduce the debt further to 46 percent of GDP at the end of 2016, relative to 2015. But we cannot become complacent; neither do we have the luxury of sitting on our laurels for the lower debt ratio was achieved at the expense of the unsatisfactory implementation of the Public Sector Investment Programme (PSIP), where we failed to achieve an exemplary disbursement rate of our foreign funded projects. This led to the unacceptable situation of negative net inflows by our major donor, at a time when foreign exchange supply was challenged because of under-performance in critical sectors and areas of the economy. We also have to be cognizant of the impact on the public debt, of the many loans contracted by the previous administration, several of which (for example, CJIA Modernisation Loan of US$135 million and East Coast Road Widening, US$50 million from China Exim Bank), remained largely undisbursed at the time this Government came to Office; and the ill-advised and/or poorly conceived projects (Skeldon Sugar Factory, Marriott Hotel, Widening of Sheriff Street) and investments (NIS investment in CLICO and Berbice Bridge) embarked upon by the previous administration, which do not contribute to the Treasury, but the repayment of whose debts, nevertheless, are being met by the Government and, by implication, the citizens of this country – at least those who pay taxes. With an outer debt ceiling limit of 60 percent of GDP, these loans have restricted the fiscal space and reduced our room for maneuver, at a time when we are seeking to implement a new generation of transformative projects such as the Demerara Harbour Bridge and the Georgetown-Lethem Road. Madame Chairperson, undoubtedly, the hard work must continue to ensure that debt levels remain sustainable, within prescribed parameters. Even with past fiscal consolidation and oil revenues on the horizon, we must be cognizant of the new challenges that confront us such as dwindling sources of concessional financing and vulnerability to external shocks. Madame Chairperson, over the last two years, we have sought to widen the range of multilateral partners, from which we can access concessional or near concessional resources, given our new status of upper middle income country. In this respect, we have joined the Islamic Development Bank and we are renewing our relationship with the OPEC Fund for International Development (OFID). Next month, I will journey to the Fund’s Headquarters to sign an Investment Protection Treaty, among other activities. This would pave the way for lending to the private sector. We are also having preliminary discussions with the New Development Bank, also known as BRICS Bank, with a view of accession, whenever that Bank makes the decision to expand membership beyond the five original members. The BRICS Bank is an important repository of resources for infrastructural development and we would like to tap those resources to help to narrow infrastructural deficit in Guyana. Madame Chairperson, we are on record as being uneasy about borrowing against future oil revenues. While tempting, as it would provide important resources to finance many critical pipeline projects, we have to be wary of the volatility of the oil market and our capacity to utilize such resources in a transparent and accountable manner. We will continue to assess the situation and weigh carefully our options before any decision, in this regard, is made. With these challenges, this Workshop is opportune as we assess our economy in the context of its debt sustainability, and craft strategies that strike a prudent balance of cost and risk. It is also critical that adequate attention be paid to the internal debt as we seek to mobilise domestic resources, both as a means of reducing Guyana’s exposure to external risk factors and to support our development goals. 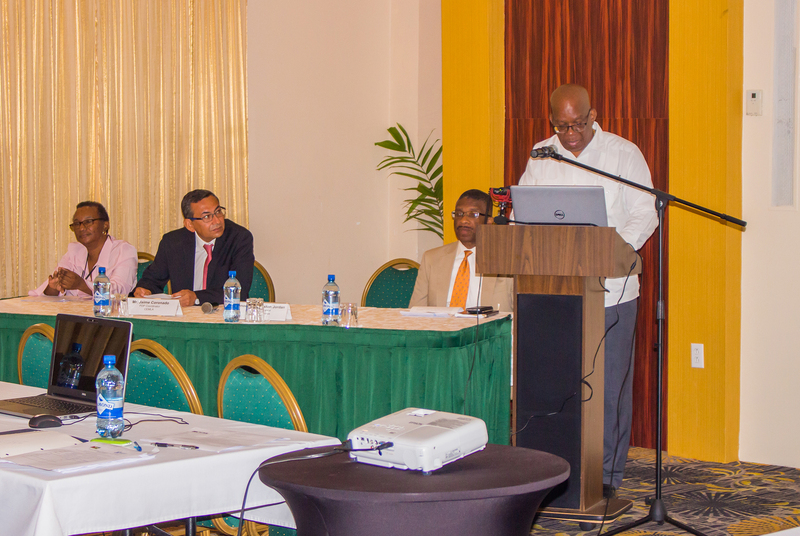 As I speak, a team of experts from another development partner, Caribbean Regional Technical Assistance Centre (CARTAC), is in Guyana, on a mission to aid the government in developing its domestic bond market. In the context of debt sustainability, this gives the government more flexibility to respond to external shocks, while reducing our reliance on external borrowing. As part of this exercise, we should also seek to improve our rating on the DeMPA scorecard, in particular, on Debt Performance Indicators (DPI) 3 and 6, where Guyana has obtained relatively low scores. These Indicators cover the establishment of a formalised Debt Management Strategy and Coordination with Fiscal Policy. This Workshop should be seen, therefore, as the first step in crafting a formalised Debt Strategy, so as to secure improved DeMPA scores. Additionally, this Workshop is an opportunity to reinforce the technical capacity of government officials in areas related to sustainable funding strategy. Out of this exercise, I intend to have a permanent team in government established that will be able to revise the national strategy, periodically. It is my steadfast belief that we should have the capacity to conduct these assessments, annually, so as to maximise ownership of the strategies, track progress made, monitor macroeconomic stability, and foster sustainable growth. This will go a long way towards achieving and sustaining a ‘good life’ for all. With this in mind, I again want to thank Mr. Coronado and CEMLA for partnering with us to support this activity, and I would like to charge each participant with the responsibility of giving his/her best to this exercise. 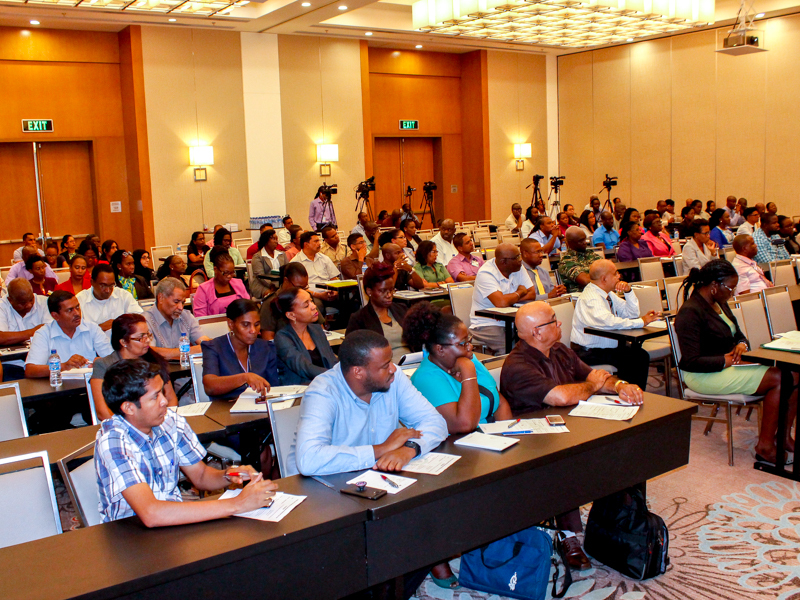 Your task is important to the successful emergence of a sound strategy for debt management and debt sustainability in Guyana. I would like to close by wishing the participants fruitful discussions and a very productive training workshop. I look forward to receiving the report on the exercise as well as recommendations for the improvement of debt management in Guyana. It is now my distinct pleasure to declare this National Workshop on Sustainable Funding Strategy officially open.